Roofing Contractors Fort Worth: Welcome to Top Source Contracting! Welcome to Top Source Contracting! Welcome to Top Source Contracting, Dallas-Fort Worth’s Top Rated Local® roofing contractors! Here on our news page, we’ll offer up many tips and tricks to keep your residential, commercial, and solar roof in tip-top shape. From regular roof inspections to roof replacements, we’ll keep you informed of the latest in roofing technology and advancements, especially with regards to solar panel roofs. 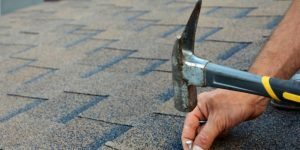 In this blog post, we’ll inform you of our roofing services. Contact us today! Home is definitely where the heart is for residents of Dallas-Fort Worth. Texans take family seriously, and one of Top Source Contracting’s joys in life is helping you keep your family safe with our residential roofing services. We specialize in residential roof repair, roof replacement, roof maintenance, and roof inspections. We are proud to offer you white-glove service when you’ve had roof damage and need an insurance claim for your residential roof repair. We understand the hassle of trying to be the middleman between your roofing company and your insurance company, playing phone tag relentlessly to get the answers you need. With Top Source Contracting, we’ll deal directly with your insurance company for you. You have enough to worry about with a damaged roof; let us worry about the roofing repair and the insurance claim. Local businesses are the driving force of the Dallas-Fort Worth economy. Another one of Top Source Contracting’s joys is helping local businesses by taking their roofing worries off their plates. With commercial roof repair, roof maintenance, roof inspections, and roof replacements, we’ll ensure your place of business is protected, so your livelihood remains intact. With years of experience in working with a variety of roofing materials, from metal roofs, asphalt roof shingles, tile roofs, and slate roofs, Top Source Contracting has the knowledge to install your commercial roof to the highest standards. Give us a call today, and our local roofers will inspect your business or office roof, looking for any signs of leaks, animal infestations, damage, missing tiles or shingles, or holes. Then, we’ll provide you with either a roofing maintenance estimate or a commercial roof replacement estimate, depending on our findings. You can’t afford to let a minor leak spring into a flood. Top Source Contracting offers the best solar roofing shingles on the market today, installing solar roofing panels in the Dallas-Fort Worth metro area. POWERHOUSE™ 3.0 Solar Shingles are building-integrated photovoltaics (BIPV). These BIPV solar roofing shingles collect light from the sun and produce energy to power your home. You’ll start generating power immediately upon installation for use in your home, and virtually eliminate utility bills. POWERHOUSE shingles fully integrate with your roof and take about the same amount of time to install as a traditional shingle roof. Durable and long-lasting, these solar roofing panels not only boosts curb appeal, but also promotes a cleaner environment. With the hot Texas sun, you may even generate extra power, which you can then sell back to the utility company. Call Top Source Contracting today for your free solar roofing estimate. Top Source Contracting puts the customer first. When you give us a call, we’ll come out to your home, perform a thorough roofing inspection, and give you a roofing estimate. Once you’ve decided to have your roof repair or roof replacement, we’ll get the job done efficiently and timely. Our mission is to exceed your expectations and leave you with a roof that is long-lasting, durable, and aesthetically pleasing. With Top Source Contracting in Dallas-Fort Worth, we’ll keep you informed throughout the entire process, delivering a top-quality craftsmanship roof you can be proud of. Contact us today for your free roofing estimate!